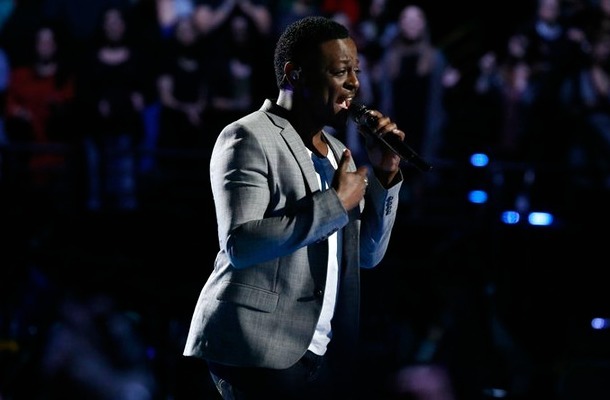 “The Voice” results show will leave only three out of five artists standing. But, one artist will have the chance to make an ultimate comeback with The Voice’s first ever “Wild Card” spot. America will vote to choose who they want to give the fourth spot to. Eliminated artist from the Top 12 will get their last chance to return to the competition when they must sing to win-over America for the fourth spot in the “Wildcard” vote. Host, Carson Daly revealed the three artist with the highest number of votes from the live performance show last night. The first one was Chris Jamison (Team Adam). The second finalist announced was Craig Wayne Boyd (Team Blake). The third artist – Matt McAndrew (Team Adam)! The voting will end the earliest it has all season – at 3am. Daly will announce the 4th artist on the Today show on Wednesday morning. THE VOICE SEASON 7 TOP THREE! Blake told Reagan James that every time she gets on the stage, she gets that much better. Adam said Ryan has such a beautiful voice and called him “amazing”. Blake said Ryan has such a naturally high voice and that his performance was beautiful. Gwen said she loves when Ryan sings to her and told America that “this guy has the most gorgeous voice” as she begged for America to vote for him. Luke begged America to “Have a Little Faith in Me” for his Wild Card song. You dug so much deeper than you have before” Adam said and he’s glad to have Luke back. Blake said he did a good job of not “over-thinking it.” Pharrell said Luke “definitely found himself,” and said he has a special voice. Pharrell promised to be part of Luke’s bright future. After Danica’s stellar performance, coach Pharrell reacted, “you hear that sound (audience cheering and shouting)? That’s the sound of America voting you back!” The show had no time left for comments from other coaches,.